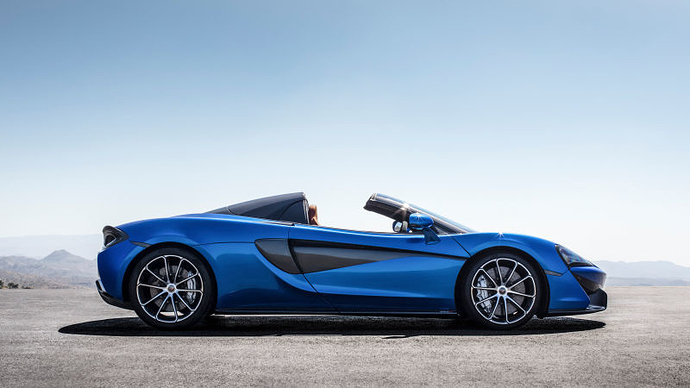 McLaren 570S Spider was recently revealed for the international market. The car joins 570S Coupe and 570GT for the international market. The retractable hardtop roof in made from two pieces and takes just 15 seconds to fully open or close while driving under 40 kmph. The car is based on the same carbon fiber MonoCell II chassis and hence, needed no extra structural support on the Spider version. The increase in weight is just 46 kg and that too comes from the electronic system in place for the roof folding mechanism. The convertible version comes with 10 inch TFT for instrument console while a 7 inch screen has been placed for the infotainment purposes. The seats are electrically adjustable (six way) and carry hand stitched leather covers for the perfect luxury finish. The spoiler at the rear end is placed 12 mm higher in order to compensate the loss of roof and aerodynamic ability. The price for the base Spyder version will start at £164,750 (INR 1.36 Crore approx) while the heavy international import taxes will make it fall around the INR 3 Crore segment in India. 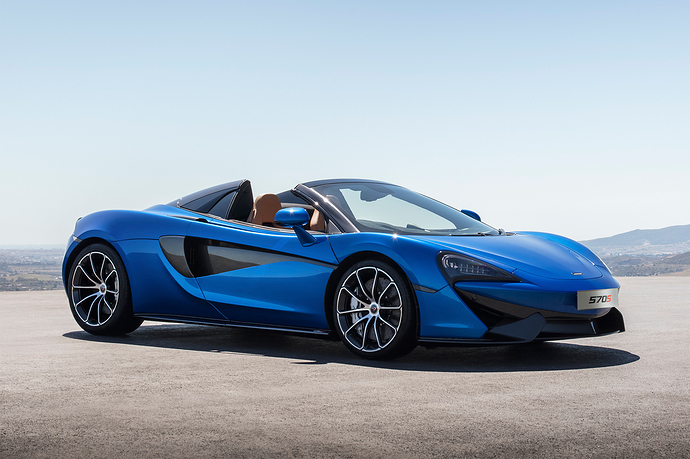 McLaren 570S Spider is powered by a 3.8 L, twin turbocharged engine that is good for 562 BHP at 7500 rpm and 600 Nm at 5000-6500 rpm. The engine comes mated to a 7-speed gearbox and claims a 0-100 kmph sprint in 3.2 seconds. 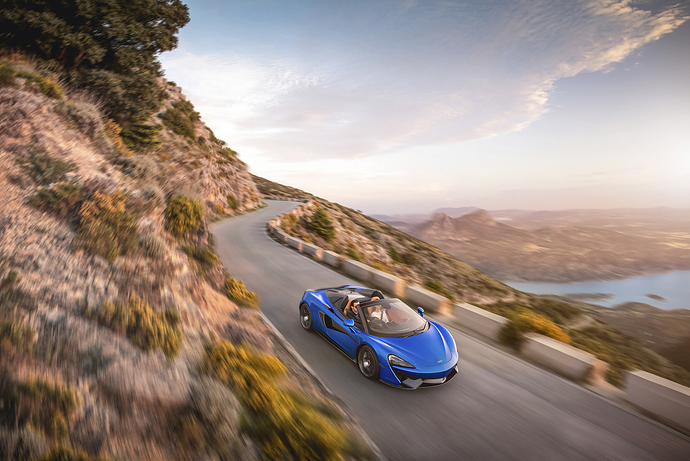 The top speed is 328 kmph with intact roof and 315 kmph without the roof. The car can sprint from 0-200 kmph in just 9.6 seconds. The same will get its global debut at Goodwood Festival of Speed and can be personalized to a large extent. It actually looks amazing from every side. Whow, This is indeed another beast from McLaren. This sporty car is awesome! I wish I could buy it one day. Cut currently I dream about Toyota Rav4. It runs very smoothly. I saw a used one at quite reasonable price. Wow! love the sporty blue color!